The World Health Organization (WHO) is the directing authority for health within the UN system. It has the responsibility for the provision of leadership on global health matters, setting norms and standards, providing technical support to countries, shaping the health research agenda, articulating evidence-based policy options and monitoring and assessing health trends. 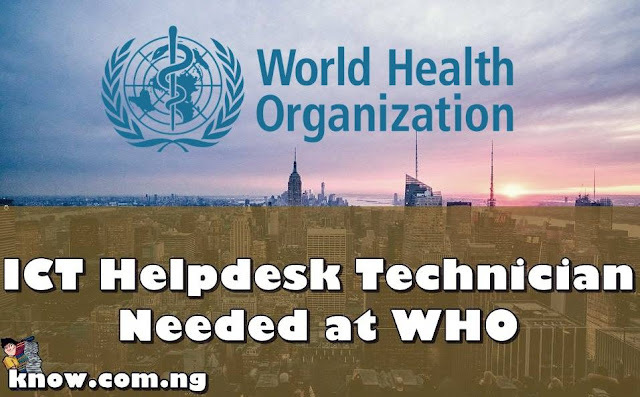 Provision of information and communication technology support to the World Health Organization at the Zonal Offices in Nigeria. - Stand as the first line of ICT support to all WHO states within their assigned zones. - Identify ICT requirement gaps within the zones and Provide adequate assessment reports. Essential: Completion of secondary education, supplemented with training in Information and Telecommunication Technology from a recognized institution. 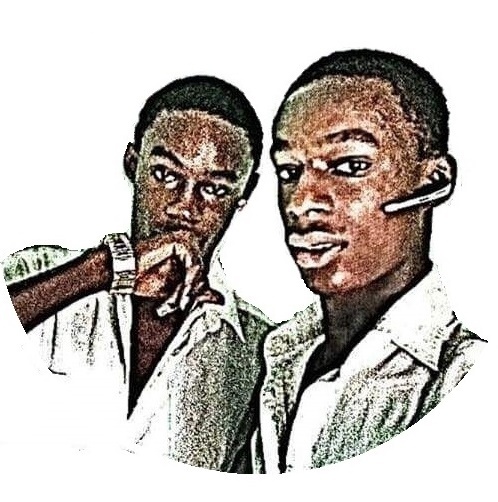 Desirable: University Degree or its equivalent in Computer Science, Mathematics, Electrical, Mechanical, Electronics Engineering, Statistics, Physics or other related courses from a recognized institution. Essential: Two years working experience in ICT related fields in a reputable company or international organisation. Desirable: Working knowledge in ICT related fields, with demonstrable hands-on technical skills in relevant areas with certification(s) especially in Microsoft AD, Cisco networking/security/collaboration, CompTIA A+ and VSphere/Hyper-V etc. - Only candidates under serious consideration will be contacted. - A written test may be used as a form of screening. - In the event that your candidature is retained for an interview, you will be required to provide, in advance, a scanned copy of the degree(s)/diploma(s)/certificate(s) required for this position. WHO only considers higher educational qualifications obtained from an institution accredited/recognized in the World Higher Education Database (WHED), a list updated by the International Association of Universities (IAU)/United Nations Educational, Scientific and Cultural Organization (UNESCO). The list can be accessed through the link: http://www.whed.net/. Some professional certificates may not appear in the WHED and will require individual review. - Any appointment/extension of appointment is subject to WHO Staff Regulations, Staff Rules and Manual. - WHO is committed to workforce diversity. - WHO has a smoke-free environment and does not recruit smokers or users of any form of tobacco. - This is a National Professional Officer position. Therefore, only applications from nationals of the country where the duty station is located will be accepted. Applicants who are not nationals of this country will not be considered. Find out more, visit careers.who.int.